Bethan Muir (Troon Ladies) and Rachel Foster (Turnberry) qualified for the final of the West Girls' Bronze Championship. 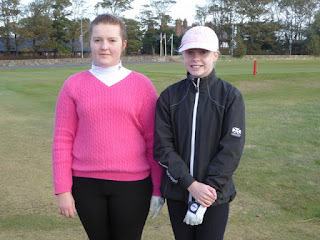 Played on Sunday over Troon Portland Rachel, who since qualifying has reduced her handicap from 25 to 13, had the advantage over Bethan off 27 in a match "off the bare feet". Congratulations Rachel on your win and well done Bethan on reaching the final. In the Championship Katie Scott (Strathaven) won a thrilling final against Jennifer Rankin (Haggs Castle). Alison Malcolm (Prestwick St. Cuthbert's) was the winner of the Centenary Trophy played at neighbouring Prestwick St. Nicholas Golf Club. On a day of mixed weather with some heavy rain showers Alison scored 39 stableford points. Close on her heels was Sarah Ramsay (West Kilbride) on 38, Rachel Foster (Turnberry) 37 and Katy Hill (St. Cuthbert's) 34. CSS 72. SLGA Under 14'sRachel Foster, Claire McLaughlin and Samantha McKay all played recently in the Loretto Scottish Under 14's Championship. Over 2 rounds on two separate days at Glenbervie, Claire was the winner of the net aggregate prize over two rounds. Claire also won the handicap prize at the Tom Lehman the week before at Lochgreen. Well done Claire, keep it up! 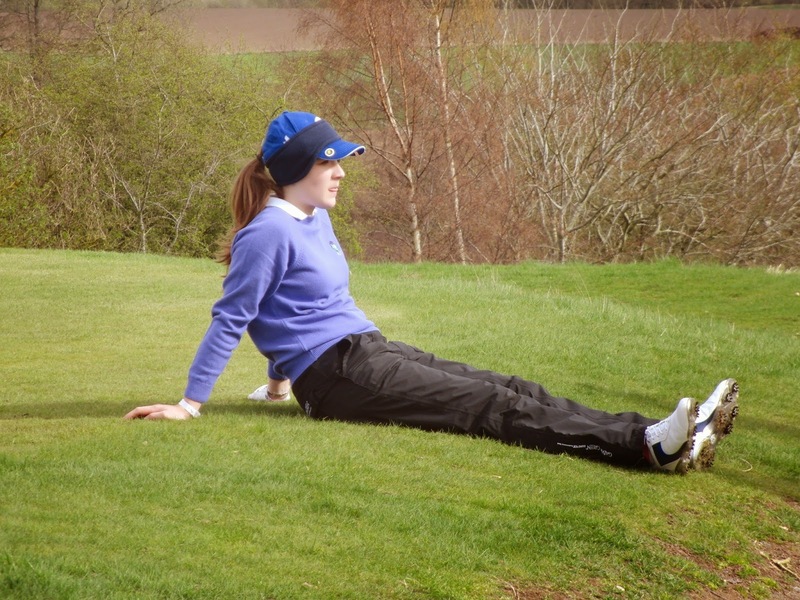 5 Ayrshire girls are playing in the Scottish this week at Alyth - Hazel MacGarvie, Emma Hale, Louise Duncan, Lauren Gilbert and Rachel Foster. After the two qualifying rounds today, Hazel is lying 3rd with rounds of 68 and 75, four shots behind the leader Germany based Fiona Liddell. Emma is in 8th place, 78 and 74, and Louise tied 13th after 79 and 77. SSS 73, CSS for both rounds 72. The top 16 now go forward to the matchplay stages. Lauren missed out on the main draw but made it into the Ansley Reid Salver. Some photos from the above trophy available under 'pictures'sent by Hazel MacGarvie. 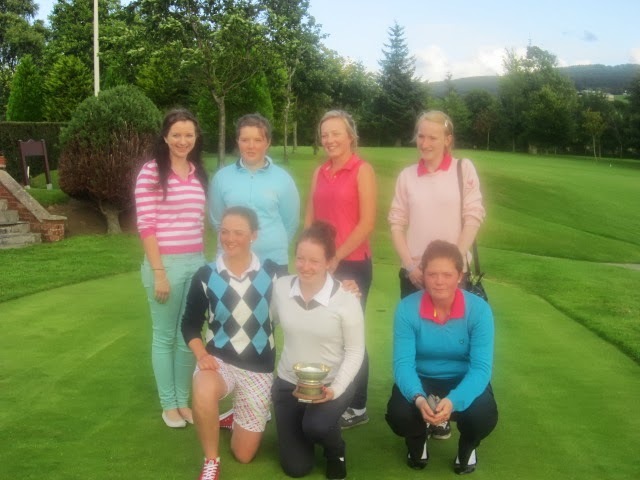 Our Ayrshire Girls' Team gave a spirited performance in trying to win the Kennedy Salver at Elderslie yesterday. In lovely conditions for playing and the course in excellent condition, it was Lanarkshire who were the worthy winners finishing with 6.5 points. Renfrewshire were close behind on 5.5, Ayrshire third on 4.5 and holders D & A slipped to 1.5 points after the morning foursomes and afternoon singles. great Hopefully next year we'll get a few more points and bring the trophy back to Ayrshire. 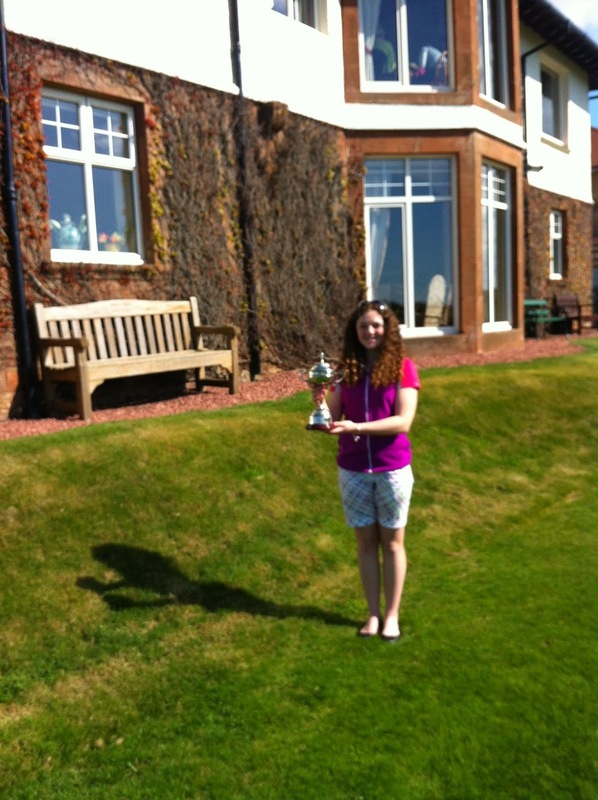 Rachel Foster came 2nd only losing out on the bih in the West Girls Medal at Troon Portland. Rachel had a net 77 against a css of 75. In the development medal over the Craigend course, Zara Mason was 2nd and Madaleine Spence 3rd in their respective age groups. 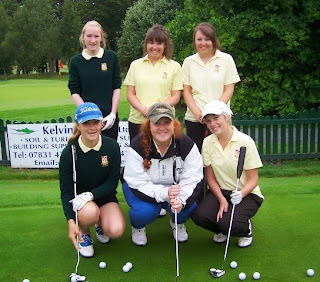 Pictured are some of the girls from Ayrshire who attended the first of the SLGA Girls Golf days last week. This was held at Whitecraigs where around 25 girls participated in short game skills tests and putting, in addition to swing coaching with Ian Muir the SLGA Development Coach. In the afternoon the girls played 9 holes on the wee course. The sun was shining, the girls were smiling and a good day was had by all! The St Nicholas trophy will be held on Sunday 23rd August 2015 at Beith. 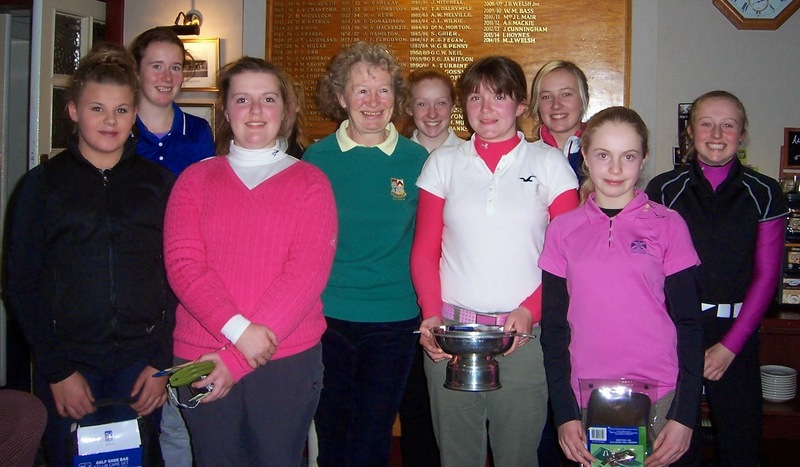 Hazel MacGarvie (Troon Ladies) was runner-up in the SLGA Carnoustie Girls Challenge tournament played at the weekend. The first round at Burnside was curtailed on Saturday due to bad weather so only 14 holes of this round counted. Hazel was 57 for the 14 holes, and over the Buddon course on Sunday was 70. Emma Hale (Troon Ladies) was 64 and 75, and Louise Duncan (West Kilbride) 66 and 86. 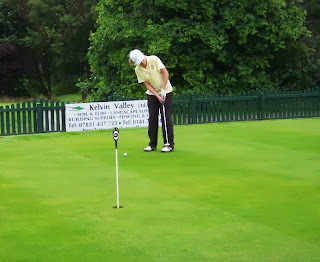 The competition was held today Sunday 22nd March 2015 at Ballochmyle Golf Club. Our Adult & Girl Foursomes competition is back! More details to follow on how to enter, just keep the date free! 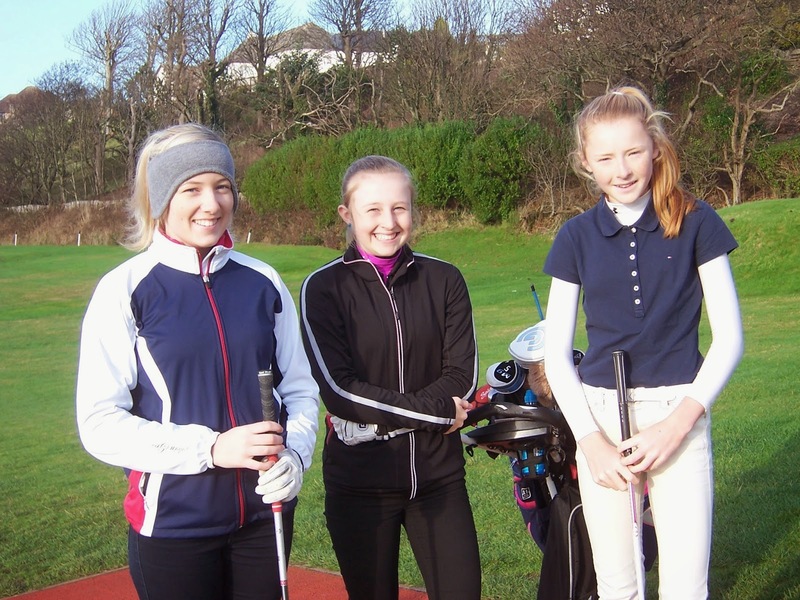 Emma, Hazel and Louise played last weekend in the South West Region Series event at Portpatrick. All three girls had great scores...... Louise was 1st with 40 points, Emma had 39 and Hazel 36. Well done girls! Emma Hale and Hazel MacGarvie (both Marr College) are to represent Scotland in the Annual Schools Golf International against England at Southport & Ainsdale Golf Club on Monday, 8th September. Good luck girls to you and the rest of the team. More pictures in 'ALCGA Pictures' at top of website. D & A WIN THE KENNEDY SALVER The West Division Inter-County Junior Matches were played over Hamilton golf course on 24th June. D & A were undefeated in their matches gaining 2.5 points out of a possible 3 in the morning foursomes, and their girls won all their six singles matches in the afternoon. Congratulations D & A on a fine performance. 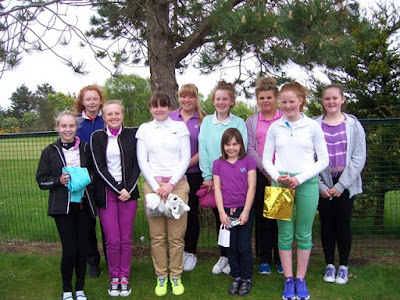 Ayrshire's team had 5 new girls in the line-up this year.......Louise Duncan, Bethan Muir, Emily McAlpine, Claire McLaughlin and Sarah Ramsay.....they joined Alexandra Brown (team captain) and Lauren Gilbert who had played for Ayrshire in previous years. In the morning foursomes, top pairing of Louise and Sarah lost 2 & 1, Lauren and Bethan won by 1 hole and Alexandra and Emily won by 2 holes. Sarah was our singles winner in the afternoon giving Ayrshire a total of 3 points. Lanarkshire finished on 5.5 with Renfrewshire on 1. Detailed results can be found on host county Lanarkshire's website along with more photos from the day. Well done girls, you were all great, and Alexandra a superb captain! O.K..... no speech this time..........but there's always next year! I can't wait! The following girls will represent Ayrshire in the West Division Inter-County Matches for the Kennedy Salver. This is being played at Hamilton Golf Club on Tuesday, 24th June, foursomes in the morning singles in the afternoon. The girls would welcome some Ayrshire support so if you are able to come along please remember to wear the County colours! 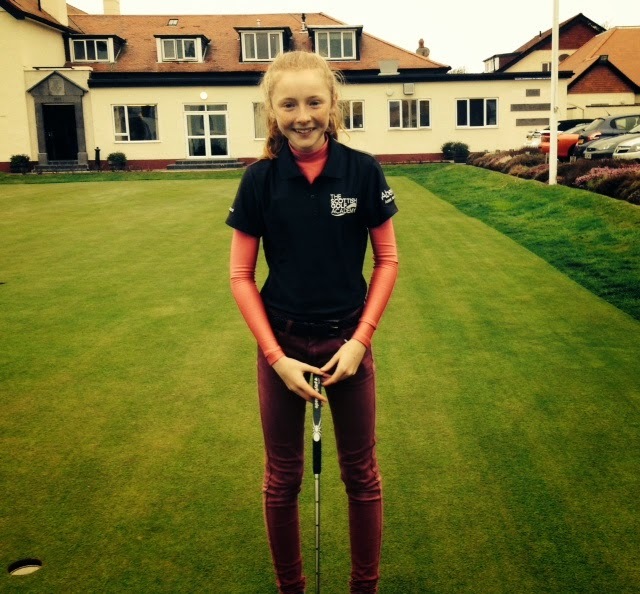 14 year old Hazel McGarvie (Troon Ladies), playing in the in an Order of Merit event for the Munross Trophy at Montrose finished tied 3rd on 148 (78 and 70), a great performance in a high quality field. Hannah McCook had rounds of 77 and 69 for 146 to win the trophy. Hazel won the net 36 hole aggregate prize on 142. CSS was 73 for each round. Very well done Hazel! Hazel McGarvie and Louise Duncan played in the SLGA Under 16's Open Stroke Play last week at Strathmore. Hazel, who was a member of the Scottish team in this event, scored 79 and 75 to finish Tied 17th, while 14 handicapper Louise was 11 shots better in her 2nd round, scoring 94 and 83. Ayrshire Girls' Spring MedalScoring was good in season's opener for Ayrshire Girls. Played over Seafield on a bright but very windy afternoon, the winner was Lauren Gilbert (Largs) with a net 67 and runner-up Louise Duncan (West Kilbride) on 68. SSS 69 as was the CSS on the day. I went along to the Fun Day at Glasgow Indoor Golf Centre on Sunday. Organised by the West of Scotland Girls' Association committee members and lead by Karyn Burns, 22 girls had an action-packed 3 hours. 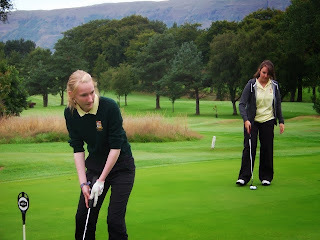 The afternoon started with half an hour of golf specific exercises which very quickly got the girls warmed up! This was followed by a rules quiz, then in groups of 7 or 8, the girls rotated round three bases:- simple drills to improve putting skills: pitching with specific emphasis on distance control: and full swing where Karyn took a video of each girl and pointed out something to work on. Rachel Foster (Turnberry), Sarah Ramsay and Claire McPherson (West Kilbride) were all there on the day I attended. Another of these days had been held the previous week. Pictured are Sarah and Claire. Great to see so many girls learning more about the game, and judging by the smiles and happy faces, having fun at the same time! 18 holes of medal play. Registration 1.00 p.m., £4 payable on the day. 5, 7 or 9 holes - will depend on weather etc. on the day. Registration 1.00 p.m., £3 payable on the day. The next event is exciting! You may have heard of Pamela Feggans, but if not, Pamela is from Patna in Ayrshire and she is a Professional who plays on the Ladies European Tour. 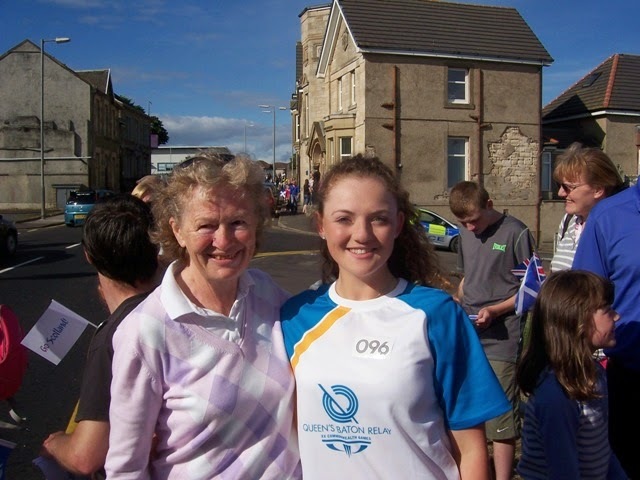 Pamela is keen to get involved with Ayrshire Girls (in between Tour events!) so I've booked her up to do a Short Game Clinic for starters. Workshop with Pamela Feggans - Sunday, 6th April at Dalmilling Golf Course, 2.00 - 3.30 p.m. This is for all Ayrshire Girls, so Congu's and Pre-handicappers, all welcome! Pamela will give a Short Game Clinic, followed by a Question and Answer Session so here's a chance to find out anything you want to know about life on Tour! Or, you might have something about your own golf you'd like an answer to. Would be good if you could come with some questions ready then we won't be wasting any time. As always, I need to know numbers beforehand, so please let me know by Monday, 24th March if you are able to play at Seafield, and also if you can come to the Workshop with Pamela. If you are unable to come it would help me to know that as well, so that I know for sure that you got this e-mail. There has been a change of date for the West Inter-County Junior Matches. They will now be played on Tuesday, 24th June at Hamilton. June, with tee off times at 9am and 2pm. salver will now be played on Tue 24th June commencing at 9am. Hazel McGarvie replaced Clara Young who wasn't available so we had two Ayrshire girls in a Scottish team of 6. Emma won her foursomes game 2 & 1, and singles 3 & 2, while Hazel lost the foursomes 3 & 2 and her singles game by 1 hole. Overall Scotland's Girls team were narrowly beaten 5-4 to England while the Scotland's Boys won 9.5 to 8.5. Congrations go to Emma Hale who has been selected to play for Scotland in the Scottish Schools versus English Schools Match which is being played over West Kilbride on Monday. Best of luck Emma to you and the team. Katie McGarva playing off 6 was the winner of the St. Nicholas Trophy played today over Loudoun Golf Course today. Conditions were difficult with a strong wind and also some very difficult pin positions due to an Ayrshire match taking place and also the Junior Club Championship. Katie's nett 78 just pipped both Connie Jaffrey and Rachel Irvine who were on 79. The bronze winner was Bethan Muir who off 36 had a nett 85 followed by Ali Roy, 24 handicap who was 89. Connie won the Daily Telegraph scratch prize with a 78. Congratulations to Lanarkshire who successfully defended the Kennedy Salver played today at Kirkintilloch Golf Club. Renfrewshire and D & A had the upper hand in the morning foursomes gaining 2 points each to Lanarkshire and Ayrshire's 1 point each. However, it was all change in the afternoon with Lanarkshire and Ayrshire standing equal with 4 wins and 1 loss in the singles and the match result dependent upon the last game on the course which Lanarkshire won against Ayrshire. Well done girls, you were great! 4 Ayrshire girls played in the Under 21's tournament at Inverness Golf Club this week..... Connie Jaffrey, Katie McGarva, Hazel McGarvie and Lauren Gilbert. Steady scores from Lauren 92 and two 94's, Katie started well on 79 but slipped to 85 and 89, Hazel was good on 77, 78 and 82 while Connie fresh from winning the Scottish matchplay championship last week followed this up with three very consistent rounds, 72, 74 and 75 to finish +2 for the championship and in 5th place - very well done! Connie is Scottish Girls' Champion! Played over Ranfurly Castle in scorching sunshine, Connie's golf was as hot as the weather! In 3rd equal place, her qualifying scores of 76 and 78 (SS 74) put her in the 5th seeded spot. She had two wins before coming up against the holder Lauren Whyte whom she defeated by 4 & 2 to secure a place in the semi-finals where she met Nicola Robertson who put out the 2010 champion Lesley Atkins in the quarter finals. Again Connie went on to win, this time by 5 & 4. The No.2 seed Tara McTaggart was her opponent in the final. I watched every shot being struck and don't have enough superlatives to describe the quality of golf from both girls. Their slender frames belie the distance these girls hit the ball, and with an accuracy akin to those in the professional ranks. Combined with superb putting this match was spectacular to watch and it was a privilege to be there. Connie was 4 under par for the 15 holes to win by 4 & 3. Very well done Connie from all of Ayrshire, and many congratulations on getting your full Scottish junior cap. Best of luck for the Home Internationals at St. Anne's next month. Katie, Rachel, Emma, Hazel and Lauren were also competing at Ranfurly. Katie, Emma and Hazel qualified in the top 32 but went out in the first round, while Lauren made it into the next 16, losing in her 1st round at the 20th. 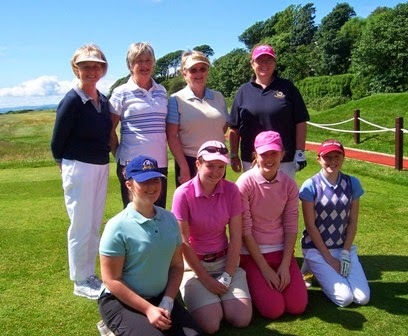 Our photograph shows the girls from D & A and Ayrshire who played a Friendly Team Match today over Ardeer Golf Course. Played in glorious sunshine the girls all enjoyed their games, the course which was in excellent condition, and the lovely meal provided by the caterer after the match. Rachel, Fiona, Heather and Megan are the D & A girls in the blue tops, and for Ayrshire Rachel, Louise, Sarah, Megan, Emily and Bethan - not all in the team strip because June forgot to take the shirts! Sorry girls, will do better next time! 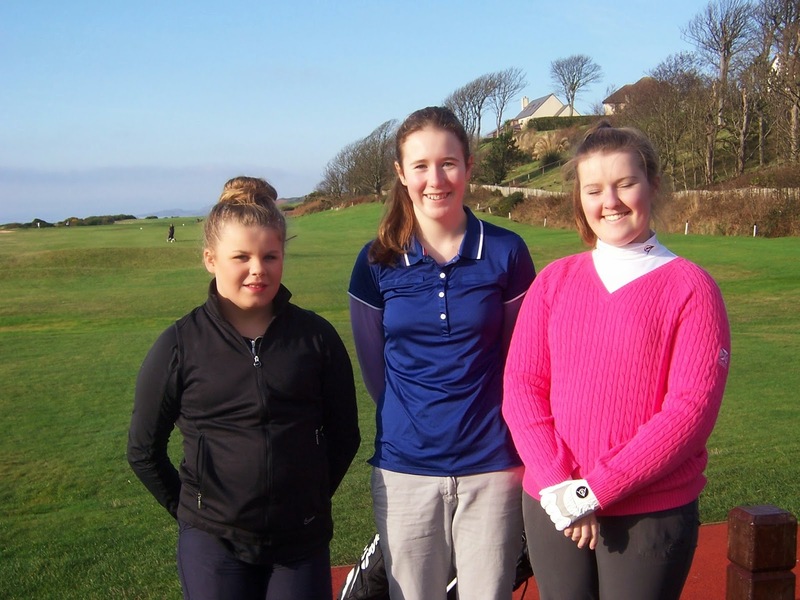 Three Ayrshire girls qualified for the semi-finals of the West of Scotland Girls' Championship. Played over Troon Portland on Sunday 7th October, Katie McGarva won by 1 hole against Renfrewshire's Lindsay Stevenson. Connie Jaffrey won 2/1 against clubmate Emma Hale and went on to win the final against Katie 6/5. 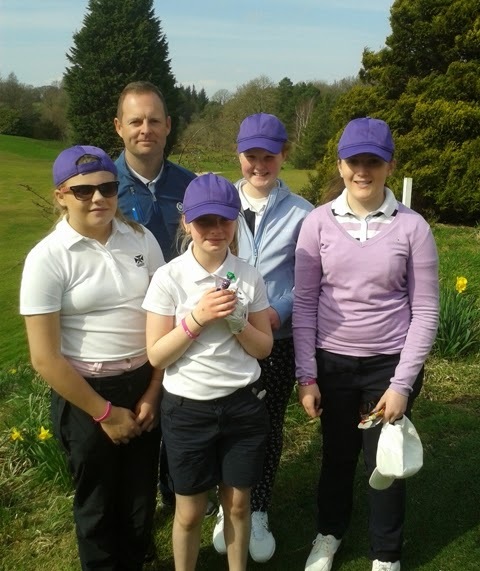 The Ayrshire Girls team lost 4-1 to Lanarkshire in the friendly match played at Bothwell Castle on Sunday. However, all the games were very close and finished either on the 17th or 18th. All the girls coped very well on an afternoon which had a few nasty rain showers making conditions a bit unpleasant at times. Well done to both teams. Two Ayrshire girls took the top awards in the above competition played on Saturday 25th August. Emma Hale (Troon Ladies) had a magnificient 2 over par round of 75 to win the Nancy Chisholm trophy for the best scratch, while Louise Duncan (W. K.) had a great round of 91 giving her a net 67 to win the Kandy Bar Cup. Well done girls, keep it up! 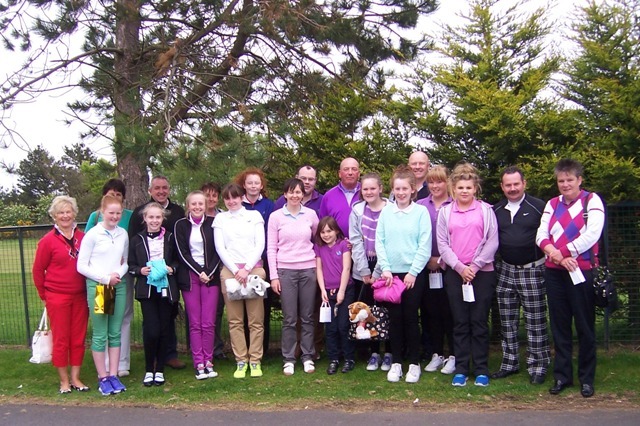 Ardeer was in lovely condition last weekend for our girls playing in their 'Major', the St Nicholas Trophy. Scoring was very good which resulted in the CSS reducing to 70. Connie Jaffrey's scratch score of 72 will be entered into the Telegraph Junior Championship, but it was Emma Paterson with a super net 66 who was the winner of the St Nicholas Trophy. 5 girls played 9 holes from forward tees in the pre-handicap competition where Alison Malcolm (Prestwick St Nicholas) won the first prize, with Emma Turner (West Kilbride) coming 2nd. 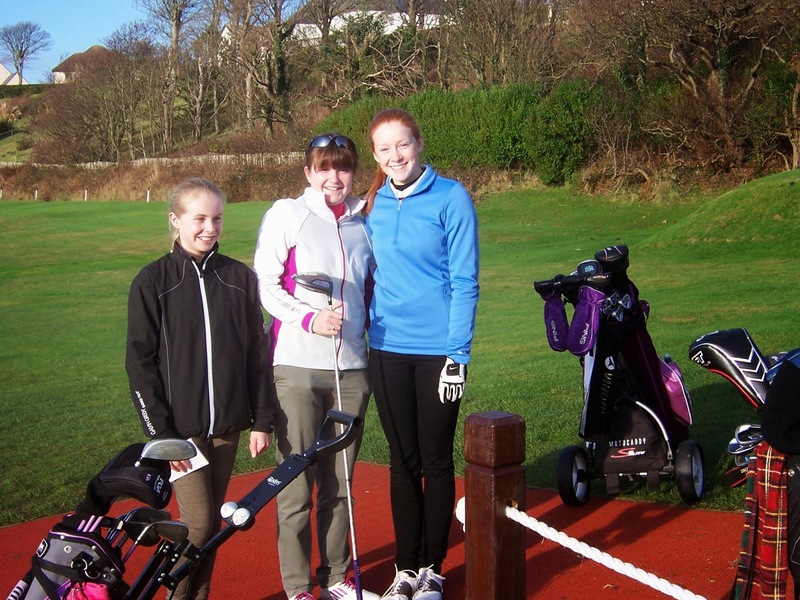 Amy MacPherson (Largs) won the putting competition. 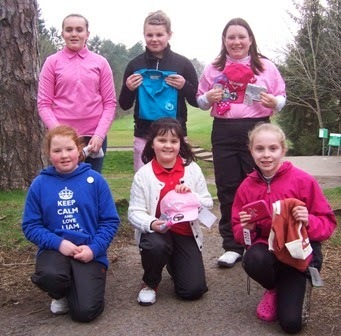 Linzi Allan, Connie Jaffrey, Katie McGarva, Emma Hale and Hazel McGarvie all played in the 54 hole Stroke Play event over the Landsdown Course at Blairgowrie this week. Connie led the field after the first round and won the Best Under 18's Scratch Prize, and finished a creditable 8th overall after 54 holes - 71, 80, 79. Linzi, in her last year of eligibility, won the Prize for Best Nett in the Under 21's in round 3 - nett 73 against a CSS of 75. 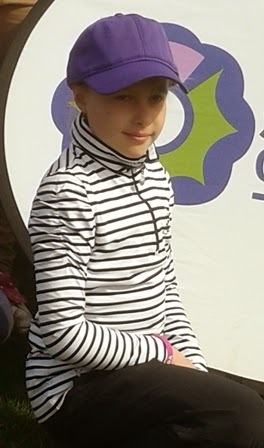 Hazel, who is only 12 years old, won the Best Scratch in the Under 15's over the 54 holes, recording 82, 78, 84 - Congratulations Hazel - a superb performance! Lanarkshire recorded a fine win against Ayrshire in their first Friendly Match of the season. This was played over Ballochmyle Golf Course which was in excellent condition in spite of the very heavy rain experienced yesterday. Team captain Rachel Irvine got the only point for Ayrshire but with four of the five games going the full distance it was all very close. Connie Jaffrey and Emma Hale (Troon Ladies) both finished in the top 10 of the Scottish Schools 36 hole event held on Monday, 11th June at Murrayshall. Well done! Some of our girls did scoreboarding on the final day at the Helen Holm competition on Sunday. 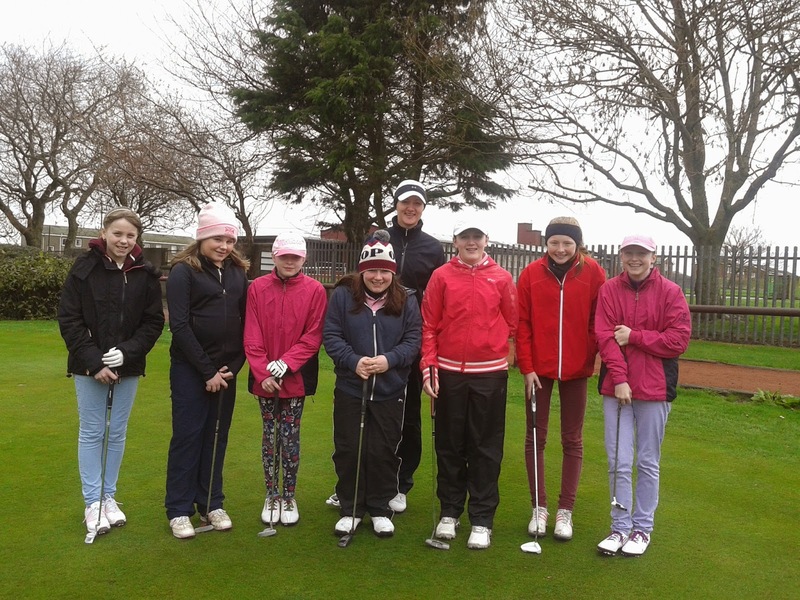 The standard of golf was very good in the very cold windy conditions ,so hopefully our young girls picked up some tips along the way. 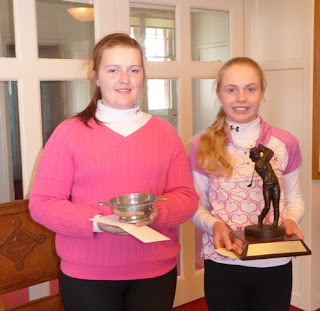 Connie Jaffrey, Katie Mc Garva, & Emma Hale took the top three spots in the 3rd Winter Series for the West area thus securing their places in the Final which was held over the Jubilee Course at St. Andrews last Sunday, March 25th. 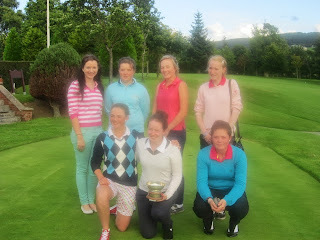 Lauren Whyte was the overall winner with a 73 scratch. Connie was a very creditable 3rd with a 79 scratch. Katie had 82 and Emma 86, however Katie won the Best nett prize. Very well done to all three girls and we wish them well for the coming season. The first junior medal will take place on Sunday 15th April at Prestwick St. Nicholas Golf Club. 2.00pm for Congu Girls. Registration at 1.30pm. £4 payable on the day. Tee-times for Pre-Handicap girls will be from 3.00pm. Registration from 2.30pm. £3 payable on the day. A putting competition will be held before the start of play. 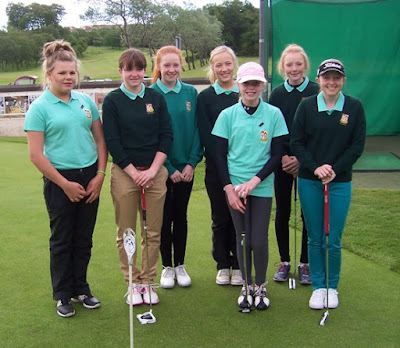 Three girls from our County, all members of Troon Ladies, played this week in the SLGA Under 16's at Strathmore and June Kerr took some time out along with a friend to go and watch them in action. Connie Jaffrey had a slightly disappointing 81 on the first day but posted a fine 75 on Day 2. Emma Hale had a good start with a 76 on Day 1 but slipped to an 83 the following day, while Hazel McGarvie had an 83 and 77, both excellent rounds for a 10 handicapper. 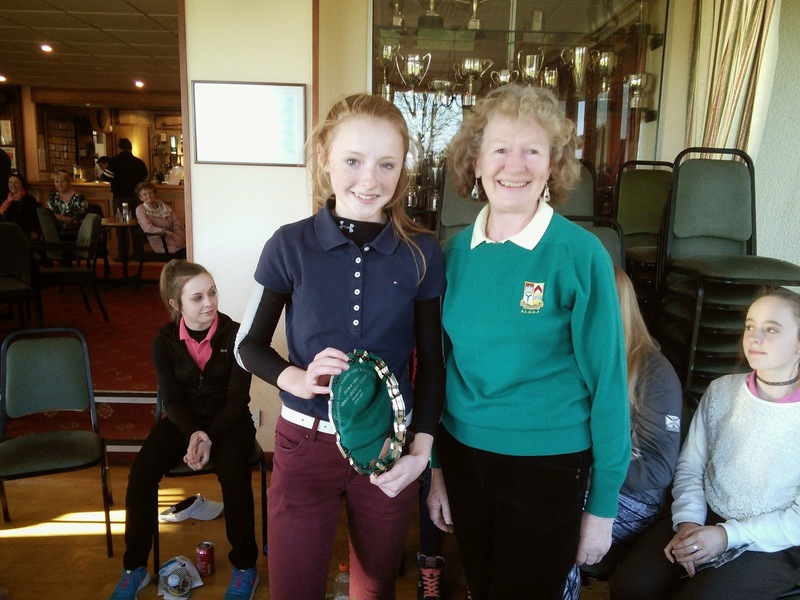 Hazel's impressive second round won her the prize for the Best Nett in the under 13 category. Well done to Hazel!! 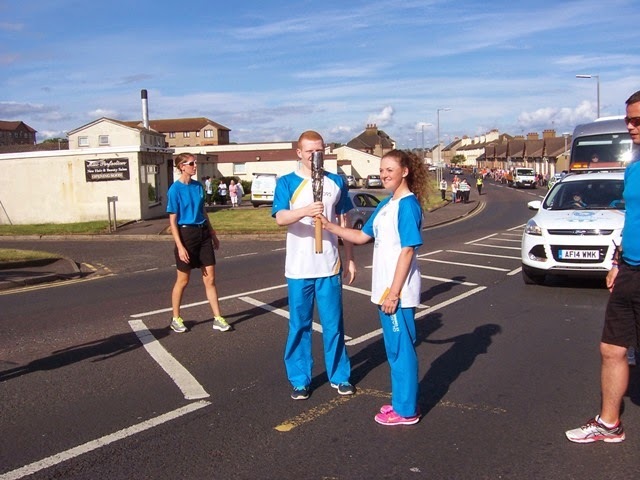 Connie was a member of Scotland's 1st team who finished runners-up to Italy in the team event. The weather was pretty cold for both days so not the easiest of conditions but this didn't seem to hinder the competitors who executed an extremely amazing high standard of golf.